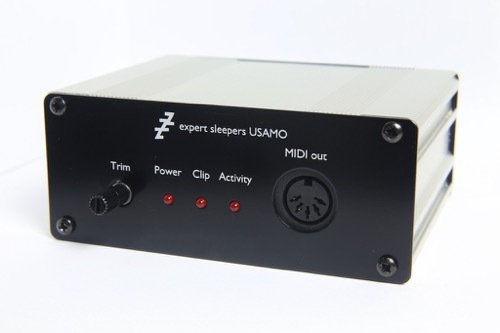 The USAMO uses the same technology previously available from Expert Sleepers Silent Way and the ESX-8MD module, but now in a standalone box, and from an analogue audio connection (the ESX-8MD requires a Eurorack housing and a digital audio connection). Also, please refer to the USAMO compatibility page to see if there are any notes specific to your audio interface. The USAMO is available now.